(Newser) – Newly uncovered evidence suggests ancient Romans may have had a thriving whaling industry. Per the Guardian, archaeological excavations at three Roman-era fish processing sites near the Strait of Gibraltar, which connects the Atlantic Ocean with the Mediterranean Sea, found the ancient bones of two whale species not known to frequent the area in the present day. 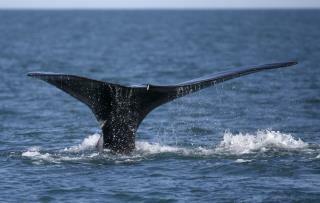 In the journal Proceedings for the Royal Society B, researchers wrote that the bones are evidence that grey whales and North Atlantic right whales once used the region as calving grounds. The presence of the bones at the sites also tells scientists that they may have been hunted by the ancient Romans. The seafaring traders were the ones who really did the hunting of whales & then traded the meat & oil's with the romans. The romans did learn but it was not the major thing for them. I always knew Pliny was right!